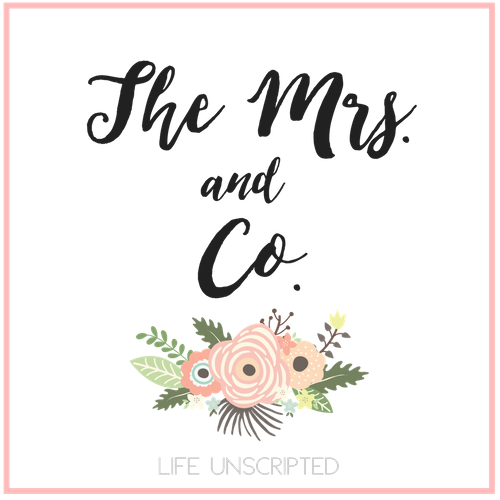 The Stomach Bug of 2014 - The Mrs. & Co.
Have you heard about the stomach bug that's been going around? Well if you haven't, pray you never have to experience it. The stomach bug of 2014 hit me like a ton of bricks Thursday night. I started getting sick about 8:30pm and honestly chalked it up to being pregnant and possibly morning sickness was rearing it's ugly head again. But no. Once it started it didn't stop. Finally around 11:30 after my 4th trip to the bathroom I laid in bed thinking, I really think I might die and if I throw up one more time I'm calling the doctor on call. And of course, back to the bathroom I went not 2 minutes later. After putting in a call to my on call OB, she called back, listened to my symptoms, and said I needed to come to the hospital. She sent me to the ER which is where Kyle and I sat from midnight to around 4am. There was little sleeping and lots of trips to the bathroom. They tried 2 rounds of zofran and 1 round of phenagran. Nothing helped. Reagan sure knew something was up. She was kickin' up a storm! She knew it would make momma feel better to know she was ok.
At 4am the ER doctor said there was nothing else they could do, so they either had to admit me or send me home. Being pregnant, there was NO way I was going home. Go home to continue being sick, get dehydrated, then have to come back up here again?! By now they had already taken out my IV, so they poked me again then sent me up to Labor and Delivery. And can I say WOW! We were at the hospital I'll be delivering at, Baylor Frisco, and these rooms are amazing! Here is a panoramic view from my hospital bed. You can see Kyle in the back working away. Poor guy was such a trooper. Once they admitted me, he went home, showered, and went to work for alittle bit. He definitely went to bed early that night and slept a LONG time! Let's just say, I am so glad we picked this hospital to have Reagan in. It is NICE! They monitored Reagan and made sure she was ok, which she was. Only momma was sick. It was nice to know she was totally fine! They discharged me around 1pm on Friday and we went home. I literally slept from Friday afternoon until Saturday evening besides to be woken up to take my nausea medicine. I'm feeling much better, but still have barely any energy. Ready to feel back to normal. I am thankful that all of that is over, and pray that NONE of you get the stomach bug of 2014. How awful! I'm so sorry!! Yay for Baylor Frisco - looks fancy ;) Hope you get back to 100% soon! Oh man, so crazy! So glad you're feeling better! It's awesome to know you got such good care at the hospital! Yikes! Sounds awful! Glad that's over!